In this week’s Winemaker Interview Christiana McDougal talks about how wine is constantly inspiring her to test out different winemaking regions, styles, and varieties. Christiana is a winemaker who has experienced an interesting portfolio of winemaking regions – including Bordeaux, Washington State, California, and Massachusetts. Check out how her diverse learning experiences have influenced her winemaking and wine tasting style. The first person I learned anything about winemaking from was Ian Modestow, co-owner of- and winemaker at Black Birch Vineyard. I began in wine by working with him for harvest 2013 and everything was new and very exciting. After that first harvest I got the wine bug and wanted to continue learning as much as I could, which led me to getting my Masters of Business and Science in Vineyard and Winery Management at a small agricultural engineering school in Bordeaux. After that, I worked a harvest at Honig Vineyard and Winery in Napa, and for the last two years I was working at K Vintners in Seattle. I was initially attracted to winemaking because I saw it as such as pure and timeless art and skill. So much knowledge, time, effort, and passion go into what ends up in your glass. I was intrigued by how complicated yet simple the process was. It’s a true labor of love. There’s always something more to learn. What bottles of wine in your cellar you most excited about? What is open in your kitchen right now? What’s the best wine you’ve ever tasted? Most interesting? The wines open in my kitchen at the moment are “Love Red” by Broc Cellars and a Cabernet Sauvignon from Lenz Winery. My favorite wines I’ve ever tasted were a Touriga Nacional from Quinta do Encontro while in Bairrada, Portugal and the wines of Tandem in Navarra, Spain. Crucible wines, a small scale operation in the SODO industrial district of Seattle, will also always have a special place in my heart – they’re a very small scale family run business that make incredible Washington wines (there are so many amazing urban wineries in Seattle). My friends who would laugh whenever I walked out with a case can attest to my adoration for what they’re doing. What’s your philosophy on Oak and Wine? I actually really love the process of working with barrels: hydrating, cleaning, steaming. Cooperage is a true art and I appreciate caring for barrels. As long as you’re not overdoing it, fermenting in and aging on oak can bring out a ton of character. How does your local climate affect your winemaking? Growing in the northeast USA means you’re never going to get those big, jammy, super ripe flavors, nor a notably high alcohol content, as the growing season simply isn’t long enough to warrant that. So the winemaking style is really going to be lighter generally. A lot of people who are used to only drinking Napa Cabs, for example, may be thrown off by this – but I hope that through exposure people realize the fantastic wines that can be made in New England; it’s just a different style, because it’s a different place. Do you have any harvest traditions? On the west coast, the cellar crew would subsist on corn dogs for breakfast and Refreshe (Safeway brand seltzer) all day every day, and trash magazines “to stay in the loop with the outside world.” Bad for health, good for the soul. 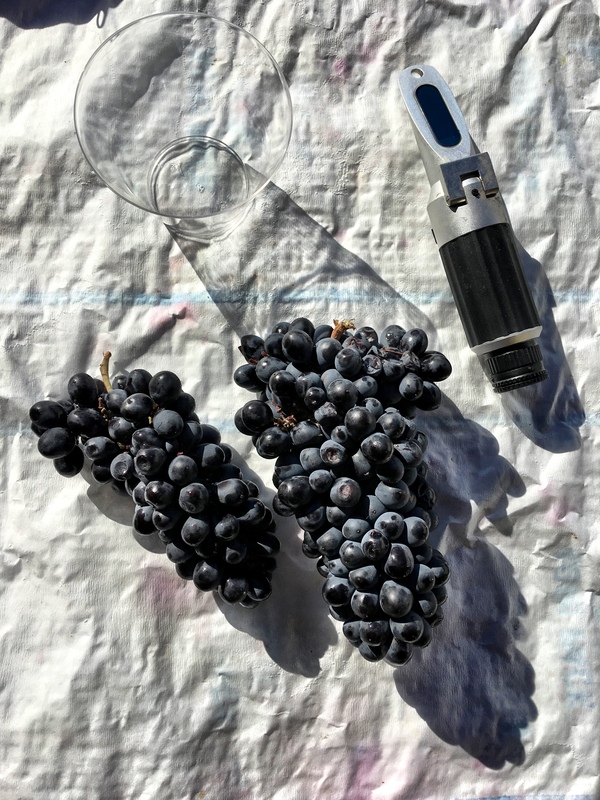 Is there new winemaking equipment you are impressed by? Are there any new winemaking techniques or tools you’d like to experiment with? I love concrete tanks and I’m be interested to see how Northeast grown hybrid grapes interact with concrete fermentation and/ or aging. What are your greatest joys in the wine industry today? One of the most special aspects of working in wine is sharing a bottle with others. There’s something so fulfilling about offering a bottle that you have a story about and memories associated with, whether you took part in its production, know someone who has, or went to the winery and purchased it and remember how it made you feel when you tried it, knowing that you will get to bring that feeling to another place, with other people, at another point in your life. I have encountered so many people willing to share these experiences together, and I can’t think of many other careers or fields with that same standard. Any advice for a new winemaker? 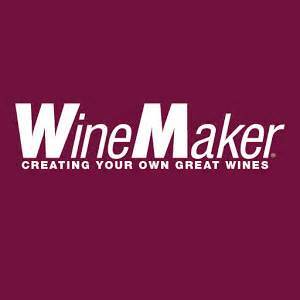 For people who want to know more about winemaking, what do you recommend? Any advice for winemakers trying to break into the industry? Ask as many questions as you can to those in the industry. You will always learn from others. Go to as many wineries as you can and taste as many wines as you can. Know that there’s never only one way of doing something. Keep reading, listening, and learning by staying in the mindset that there’s always more to learn. What could be more exciting than realizing that? I believe that a lot of barriers, including past feelings of inaccessibility/unapproachability in regards to wine are disintegrating more and more each day, and this is particularly important for those of us not from traditional wine regions who still want to make wine. Do you have any advice for women and/or the next generation of the wine industry? Go for it! There is a strong sense of sisterhood within the wine industry, and I hope to see this grow and flourish. How do you keep a work/life balance? Is there such a thing as a work/life balance? I like to think there is a balance; but if your work is your passion, and you got into this field because it’s something you sought out to learn about and experience in your free time anyway, then it’s difficult to completely separate what you do for work from what you think about or do when you’re out of work. So…yes and no? If you weren’t making wine what would you be doing? Definitely something in agriculture. As an undergraduate, I majored in Social Thought and Political Economy with a minor in Women, Gender, Sexuality Studies yet here I am in wine. I guess there’s really no telling what someone will do with their degree! What an excellent feature. I always joke that my dream job would be working in a wine store…even though I know so little about wine. I just love drinking it!! Looks like so much fun! Def have to do this! Ya! Black Birch Vineyards is a lot of fun! I think it’s fun to visit vineyards and see everything that goes into creating the wines. I love that Connecticut has it’s own style of wine. I love how she says winemaking is a pure timeless hobby (and skill!). I would love to be able to make wine myself! If you’re ever interested we can teach you! 🙂 Cheers! I love this. It’s so cool to understand the process. It’s a lot of fun! Cheers!